Meet Jesse Hirsh, cyber space guru. Jesse’s passion is helping people adapt to change, while educating on both the benefits and perils of technology. An internet strategist, researcher, and broadcaster, Hirsh has a weekly nationally- syndicated column on CBC Radio, explaining and analyzing the latest trends and developments in technology, using language and examples that are meaningful and relevant to everyday life. As a freelance journalist, Jesse has been doing radio and television work for a decade and a half. He’s worked for such organizations as CFRB, Jazz FM, TVO, Global TV, CityTV, Rogers, OMNI, and MuchMusic. Jesse owns and operates Metaviews Media Management Ltd., which focuses on research and consulting around new media business models, big data, and the strategic use of social media. He is also a co-founder of the Academy of the Impossible a peer to peer life long learning facility. Jesse has been lecturing audiences internationally since the early 1990s. Brian Andresen is the first ever BIM Manager for The Jerde Partnership in Venice, CA. His knowledgebase consist of over 15 years of industry experience with 13 of those directly involved with BIM management. He excels in simplifying processes for end users, providing multiple CAD and BIM opportunities including; training, support, standards, documentation, and customization with various BIM software. He has also began offering continued support in various side projects/directions. He is currently the Production Manager with AUGI, the Director of AR with The ANT Group, and the President of BIM Services. He has presented at multiple AU and RTC events, including USC, local user groups, and various AEC firms. Author of many Revit book titles including the widely acclaimed: The Aubin Academy Mastering Series: and the all new Renaissance Revit and Revit video training at www.lynda.com/paulaubin. Paul is an independent architectural consultant providing Revit® Architecture implementation, training, and support services. Paul’s involvement in the architectural profession spans over 20 years, with experience in design, production, CAD management, mentoring, coaching and training. He is an active member of the Autodesk user community, and is a high-rated repeat speaker at Autodesk University, Revit Technology Conference and the Central States Revit Workshop. His diverse experience in architectural firms, as a CAD manager, and as an educator gives his writing and his classroom instruction a fresh and credible focus. Paul is an associate member of the American Institute of Architects and a member of the Institute of Classical Architecture. He lives in Chicago with his wife and three children. Elizabeth Ashley is the director of BIM technologies at Holmes Culley. Her experience includes team management, BIM implementation, code analysis, and design and construction documentation. Elizabeth Ashley works with project and drafting managers in the United States and New Zealand to coordinate project deliverables and develop BIM standards and training. Elizabeth presents internally, and has presented at the Ideate Revit User Group in San Francisco and the East Bay. Jason Bailly is the Application Manager of Design Technology for HDR. Working for the IT branch of the company, his primary role is to provide software solutions, services and support to design professionals in the Architecture branch of the company. Autodesk® Revit® is the primary solution of the many tools in use. With HDR since 2003 Jason worked briefly for an Autodesk reseller then returned to HDR to join the Revit Implementation Team in 2008. During the implementation period, he was responsible for establishing standards and best practices, developing and presenting technical training, and starting new projects. As the IT App Manager, Jason has remained engaged with those in Architecture, focusing on providing effective worksharing solutions in a large organization where geographically dispersed multi-office workflow is common. Jason also serves on the board of pdxRUG, the Portland, OR Revit User Group. Stuart (the girl), Dave and Tim are the BIMinion alter egos of our impressive BIMx presenter lineup. Try to figure out who they are - or just come to BIMx to find out. Jason Boehning is the Revit Subject Matter Expert at 4D Technologies and authors Revit Architecture, Revit MEP, Revit Structure and Revit LT courses. After graduating from Texas A&M University in 2009, Jason helped implement Revit into the design process at an engineering firm in Houston, TX. He was later promoted to BIM Manager and increased productivity for sustainable design and energy modeling using Revit. He also served as the 2011 President of the Houston Chapter of the US International Building Performance Simulation Association. In 2012, Jason decided to make a career of teaching building professionals how to use Revit and joined 4D Technologies in development of their CADLearning® products, helping create affordable training for Autodesk software. He has also spoken at RTC North America, Autodesk University and is an Autodesk Revit Architecture Certified Professional. Don Bokmiller has 17 years of experience working in the AEC industry, beginning as a CAD technician and working his way up to Electrical designer. Don has worked with Revit MEP since its first release and has been influential in his company's Revit implementation. He currently manages their BIM standards and processes. This includes the development and maintenance of project template files so that users can utilize the features of BIM software in a manner that increases accuracy and efficiency in both the design and documentation processes. He also spent 2 years as an Application Specialist for a local Autodesk Reseller and is co-author of the Mastering Autodesk Revit MEP 2011, 2012, 2013 and 2014 Autodesk Official Training Guides. Scott Brown a Senior Project Manager(Architecture) in BECK's Tampa office, brings more than 19 years of Architecture experience and 13 years of Revit experience to RTC. Over the past 8 years, Scott's primary responsibilities have been leading and training teams that are producing integrated Architectural and Interior design documentation in Autodesk Revit. Scott is also a member of BECK's Virtual Building Group, working towards improving the use of technology within Design, Documentation and Construction on IPD projects. Scott is well-known in the Architecture and Interior Design community as a leader in Building Information Modeling. Scott has spoken at previous RTC NA events, Autodesk University, CSI Southeast Conference and the Colegio De Arquitectos Y Arquitectos Paisajistas de Puerto Rico. Peter Boyer is a Senior Software Engineer on the Dynamo team at Autodesk. Before that he was educated as an Architect, Structural Engineer, and Computer Scientist at Brown University, Harvard University, and MIT. Currently, he develops for Dynamo, Revit, DesignScript, various Autodesk Cloud Services, and has previously worked in the Research Group at Gehry Technologies. Philip Chan currently is the BIM Manager at Lake|Flato Architects in San Antonio, Texas. Philip is responsible for directing the usage of BIM in the office. He develops, maintains and administrates all Revit templates and contents, and conducts continued education for the staff in the use of Revit. Since 2007, Lake|Flato has used Revit to document all projects executed under a full-service contract; the office supports this single platform to ensure maximum staff proficiency. Philip holds a Bachelor of Architecture and Environmental Design from University of Houston and is a LEED Accredited Professional BD+C. He is also an Autodesk Revit Architecture certified professional. Philip has spoken at the Autodesk University Conference in 2010 and 2012, RTC North America 2013 and has been an active speaker at the local Revit/BIM user group. Scott Chatterton is the BIM manager for CEI Architecture, one of Canada’s leading architectural firms for public and commercial projects. Scott has over 20 years of industry experience and has a long history of using Autodesk products as an architectural technician, Autodesk-certified AEC instructor, CAD manager, and now as a BIM manager. Scott has previous experience as an authorized, certified instructor of the Revit and AutoCAD product line, specializing in architectural design, and is currently a certified professional in both Revit and AutoCAD and building performance analysis. Scott is also president of the Okanagan BIM User Group. He is a prolific blogger who is dedicated to all things BIM. His blog “The Revit Jedi” offers a wide range of articles on Revit and BIM. Visit him online at http://bim4scottc.blogspot.com and on Twitter @BIM4ScottC. Clyne is currently the BIM Coordinator at Brigham Young University where he assists the Facilities Planning and Space Management departments in maintaining an accurate gross and net square footage of the campus. He has been an Autodesk® Revit® Architecture instructor/trainer for 10+ years and is in the process of converting BYU's AutoCAD® based building database to Revit for use in facilities and asset management. He is also a member of the Executive Board for the Campus FM Technology Association. Scott Davis: is a “recovering” Architect, that has been with Autodesk since 2007 as an AEC Technical Specialist. Scott has over 12 years of experience in the industry, designing and building projects for Fluor Daniel and WLC Architects. Scott started his career path in high school using AutoCAD r9, and then received a Bachelor’s of Architecture from Cal Poly Pomona in 1994. Once he was hired for his first “real job”, he quickly became versed in the joys of programming LISP and writing CAD standards manuals, and was “promoted” to CAD Manager. In 2000, he was introduced to a small startup called Revit Technologies Corporation, and downloaded Revit 1.0 the first day it was available from the Revit.com website, and as they say, “The rest was history!” He now enjoys his role with Autodesk, which includes traveling throughout North America and promoting BIM. He can be found @scottddavis on Twitter! Bill Debevc is an expert in Autodesk software and Information Technology (I.T.) specializing in Private BIM Cloud technologies. He has over 20 years of experience using, supporting, and customizing Autodesk AutoCAD and Revit software. As a Microsoft Certified Systems Expert (MCSE) he uses his extensive I.T. experience to implement industry leading I.T. solutions for the AEC industry. Currently, as Technical Manager / Collaboration Solutions at BIM9, Bill is now sharing his knowledge about Private BIM Clouds helping the AEC industry reduce costs and increase productivity. You can find Bill at Bim9.com or via email at bill@bim9.com. With over 20 years of bringing new software and hardware platforms to market, Etienne manages some of NVIDIA’s largest software global partner alliances while building industry wide relations driving new key technologies to market. As a Senior Business Development, leader he’s responsible for creating ecosystem strategic alliances that drives new graphics capability across both client and cloud platforms. As part of creating new business opportunities, Etienne is responsible for new strategic relations across ecosystem partners to further accelerate new technology adoption backed with revenue streams via OEMs, channel and direct customers. Frank Deming has been technical leader with HP Workstations for 18+ years. He is active in technical exchanges with Autodesk and Autodesk customers specializing in the AEC and Product Development marketplace. His expertise runs across Intel , NVidia and Windows Operation systems management. He leads HP efforts to provide industry leading sizing and configuration of compute resources for Autodesk customers. Jason Dodds, coauthor of “Mastering Navisworks 2012 and 2013″, is President/Owner of DFourInc located in Denver, CO. Jason has been actively involved in the construction and technology community for over 15 years. During his career, Jason’s focus and experience has been with construction, construction administration, MEP, architecture, structures, technology, sales, marketing, and business development. He has been involved in all facets of construction processes and understands what it takes to complete projects on time and under budget. Jason has experience with estimating, coordination, fabrication, scheduling, and project management. Jason is also considered the expert on Autodesk Quantity Takeoff (QTO) and helped pioneer many advancements with the technology. Jason also used Navisworks for over 10 years on active construction projects around the world. Jason is also a recognized speaker at national events such as the Associated General Contractors (AGC), American Society of Professional Estimators (ASPE), Autodesk University and BIM Forum, among others. Martijn de Riet is a self-employed BIM Consultant from the Netherlands, working with Revit since version 5.1. Martijn has a bachelor degree in Building Science. After his study he started his own engineering firm working for contractors, architects and private clients. Starting 2007 his company transformed into a full-time BIM consultancy service. At the moment Martijn's clients vary from mid-sized architectural firms to the largest dutch General Contracter and MEP Engineering firms, with a focus on specific corporate solutions, design and implementations of Revit and BIM workflows. Martijn is a member of the Dutch Revit User Group, co-author of the Dutch RUG "Best Practises" for Revit and author / creator of the Dutch RUG Revit Standards Master Template. He provides lectures for companies, technical universities, seminars and such on a regular basis. Daniel Doherty is a BIM specialist at Clark Builders. He has over 10 years experience in the AEC industry starting as a construction labourer. As an Architectural Technologist, he gained experience in the multiple facets of design and construction and played a lead role in the adoption of BIM technology. While at Clark Builders, Daniel received his bachelor’s degree in Technology Management and continues to implement tools, develop processes and advocate VDC technology. Daniel has attended and presented at various BIM specific functions and continues to look for innovative ways to educate the AEC industry in the benefits of utilizing BIM. Peter thinks he might just have the best job in the world, writing apps and solving problems for Revit users around the world. He has been a practicing Architect for over 30 years, always focusing on ways to make the process easier, faster and more organized, slowly migrating to 100% Digital Architecture along the way. Mr. Faust brings a unique blend of experience in architecture, coding, and the Revit API. As a licensed architect and former BIM manager/trainer for several firms he understands the needs and processes of the building industry. With 6 years' experience working in the Revit API (4 commercially) he understands the power of the Revit API and how to create solutions that work for the building industry. Matt is a Structural Technologist and the Structural BIM Lead for Stantec Consulting. Matt maintains all Revit Structure standards and content; and has played a key role in the advancement and training of Revit Structure throughout the company. The past year Matt has focused his efforts in the advancement of Revit Structure and the integration with cost estimating and Revit to Structural Analysis applications. Frank Fralick leads The Beck Group’s Procurement Group, an integrated enterprise providing architecture, construction, and development services throughout North and South America. Frank studied civil engineering at Vanderbilt and is a native of/based in Atlanta, GA.
Frank works closely with designers to understand their goals and uses his expertise to execute the vision without compromise. Highly leveraged design data is employed to protect design intent, to allow work to be bought in novel ways, and to execute digital fabrication and prefabrication opportunities on scopes of work ranging from structural and ornamental steel, to complex millwork. Frank also develops tools that support the Procurement Group’s processes, focused on automation of fabrication model generation within several platforms. Mia Frietze is a Registered Architect and Senior Project Coordinator with The Beck Group in Dallas, TX. After receiving her architecture degree from Pratt Institute in Brooklyn, NY, in 2006, she spent the first 5 years of her career at Lake|Flato Architects in San Antonio, TX. At Lake|Flato, she implemented BIM strategy and training (and was the self-proclaimed Revit Cheerleader). Mia worked at Michael Malone Architects in Dallas, where she was responsible for their BIM implementation for projects ranging from boathouses, high-end residential, retail and high-end tenant fit out. Having joined the Beck Group last year, she continues sharing her passion for how to best leverage Revit to deliver amazing designs and buildings efficiently, in a well coordinated and buildable fashion. Mia is an active participant in the Revit Community. Kristina Gardenhire is an Application Manager within the Design Technology Studio at Lionakis. She delivers in-house training, support and mentorship for the use of Revit within the firm. Additionally, she manages the use of Navisworks, BIM 360, 3ds Max Design, and AutoCAD. Prior to working for Lionakis, she was a Technical Specialist for an Autodesk Reseller, where she provided production, training, and support for several AEC firms throughout Hawaii and California. Troy Gates worked for some time in the civil/infrastructure industry before joining the AEC industry in 2000, where he immediately became an early adopter, user, and implementer of the Autodesk Revit platform while serving in CAD/BIM/Design Technologies management roles. In addition to his direct experience using BIM design technology tools, 3D modeling platforms, and software programming, he is an Autodesk Revit Certified Professional and an Autodesk Revit Implementation Certified Expert. Troy graduated with degrees in both Design and Operations Management. Troy currently holds the position of Design Technologies Manager with Mazzetti. Troy is also part of the Los Angeles Revit User Group (LARUG) leadership that hosts Autodesk Revit users from around southern California for monthly advanced Autodesk Revit demonstrations and topics. Troy also actively participates in Autodesk Revit and BIM discussions on Twitter and Revitforum.org. Helen Gorina is a Regional Digital Practice Manager at Perkins+Will. Her responsibilities include the Northeast region and span multiple locations and projects. She has more than 20 years of design technology leadership experience in multidiscipline, multi-office environments; 25 years of experience in the architectural, structural, and civil engineering fields. Her understanding of design and drawing production processes, coupled with her interests in Parametric and computational design, enables her to offer ingenious solutions for Autodesk® Revit® from both a high-level planning and on-the-ground implementation perspective: both the strategy to plan where you want to go and tactics you need to get the job done. Arman Gukasyan is the founder and Chief Executive Officer of VIZERRA. Prior to founding VIZERRA (2008), he was CEO of a 3D GIS company, building systems over 5 countries: Russia, Singapore, China, India, UK. Arman is sales and marketing specialist with a significant developer background. He worked in large corporate Swiss and US companies. Education: MBA degree from Graduate School of Business, Grenoble, France (2005); the faculty of Management and Marketing at IFM, Genève, Switzerland. Ibrahim is an architect who has been exploring the benefits of Revit with the expansion of information and coordination. He works for ka, an architecture firm specializing in retail and corporate architecture. He teaches basic and advanced Revit at Polaris Career Center. Brendan has been a Virtual Design and Construction Specialist since he joined Rogers-O’Brien in 2012. During his time in the VDC department Brendan has been instrumental in training estimators, quality managers, and project managers in using various construction software including Autodesk Revit, Autodesk Navisworks, and Bluebeam PDF Revu. In addition to supporting on-site project staff, Brendan is currently focusing on researching, developing, and implementing model-based estimating in the Preconstruction Department at RO. Brendan received a B.S. in Construction Management from Brigham Young University. He is married and has 2 children. Anthony Hauck has been involved in architecture, engineering, construction, and technology for more than 25 years. As an architect, millwork project manager, software developer, and IT Director, he has always looked to technology to help solve issues facing the AEC industry. He joined Autodesk in 2007 and as Senior Product Line Manager of Building Authoring he leads the product management team responsible for all Autodesk building modeling products. Application and BIM Solutions Specialist/Certified Instructor. 23 years industry experience, uniquely qualified to speak about the benefits of BIM adoption to improve efficiency and reduce costs – from design to build. Following a 6 year apprenticeship in Building Services Engineering in the UK, Justin has worked with a wide variety of clients in the design/build industry; around the London area, as well as in Australia. His career has encompassed a myriad of roles, Project Manager, Mechanical Engineer, Lead Coordinator, CAD Coordinator, Technician and Surveyor, but his passion remains in the construction field. Since Justin moved to Canada in 2009 he has employed his knowledge and keen interest in building construction to instruct the first one day classes on BIM to members of the construction industry in Canada. Justin now runs his own business providing BIM consultancy to all divisions of the AEC industry, from a BIM overview / transition, to a full BIM implementation plan for your company. Adam is founder and CEO of IMSCAD, a company that bridges the knowledge gap between the virtualization platform providers and the design focussed ISV’s, their resellers and ultimately their customers. IMSCAD were responsible in helping Autodesk certify the Building Design Suite for Citrix. The initial focus was supporting Autodesk and their global channel partners with virtualization of their design software. This led on to the forming of strategic partnerships with key players like NVIDIA, HP and numerous other ISV’s who operate within this space. IMSCAD now boasts a global client base with 100’s of supported customers. Laura Keyser is the Revit Coordinator for Hord Coplan Macht in Baltimore, Maryland. Shortly after joining the firm in 2006 as a graduate architect, she was tasked with leading the implementation of Revit Architecture within the firm’s architectural studio. Since that time, she has trained the firm’s staff in Revit, while maintaining a production role on a wide range of architectural projects. For the past four years, she has also been a leader of the Baltimore Revit User Group. Laura holds a Bachelor of Architecture degree from Ball State University. Zach Kron is an architectural designer for the AEC Conceptual Design group at Autodesk. Since 2007, he has worked on the Autodesk® Revit® platform with product designers and developers creating feature functionality, exploring parametric design practices, and generallyenjoying technology. In addition to internal teaching and curriculum development at Autodesk, Zach has helped create and run workshops at MIT, ACADIA, Autodesk University and WoodStEx, and maintains the Buildz blog. Before joining Autodesk, Zach worked as a designer in several Boston-area architectural offices on projects ranging from furniture to bridges. He has more than fifteen years of professional experience in design. Josh Lowe is a graduate of the University of Wisconsin–Milwaukee, where he received a Bachelor of Science degree in Architectural Studies and a Certificate in Urban Planning. In 2011 joined TURIS Systems a technology group, where he is currently a Senior Innovation Advisor. Josh is involved in Revit research and development of data management applications for facilities. In 2013, his innovation and leadership made him one of ENR’s “Top 20 under 40” in the Midwest. Josh is an experienced speaker on the topic of Building Information Modeling, speaking five times at Autodesk University, the last two years at World of Concrete, the Los Angles Revit Technology Conference North America and numerous colleges and universities. Brian began using Autodesk products with AutoCAD Release 12. He has worked in many areas of the industry as a wood-worker, a CAD Manager and a Technical Specialist for an Autodesk reseller. In 2011 Brian started a BIM consulting firm, BD Mackey Consulting. Brian's past roles in industry have aided his ability to help his clients effectively use Autodesk software and now working with his clients keeps Brian immersed in every aspect of the industry. Through working with companies from all over the country, from different disciplines, Brian has gained valuable experience and knowledge about industry best practices in implementing Revit. Working closely with many diverse companies enables Brian to stay close to the industry, which helps him provide his clients with the specific services they require. Brian is a well-known and popular instructor; he also co-hosts a light-hearted monthly Revit internet Q&A webcast that has a growing fan base. Desirée (Dezi) has been in the AEC industry for more than 15 years. After obtaining her bachelor's and master’s degrees from University of California, Davis and Massachusetts Institute of Technology, she perpetuated her nerdy tendencies with Revit. She started her career in California with a construction company, then with a structural engineering firm, and now is a practicing structural engineer and BIM Manager at Martin/Martin in Denver, Colorado. Dezi is a regular speaker at many conferences, she co-founded the Rocky Mountain Building Information Society, is the Chair of the Structural Engineers Association of Colorado's BIM Committee, and is currently serving as an AUGI board member and Vice President. Finally, as if that is not enough Revit in her life, she is married to “The Revit Geek” and acts as a partner in his BIM consulting firm, BD Mackey Consulting. Mirra Lee Maheden has had over 25 years in the electrical consulting field. Though her project work she has developed strong skills and a reputation for producing quality design and construction documents. In the last 6 years she as focused on implementing Revit MEP in firms in Edmonton and adapting to the transition from a traditional 2D drawing process to a coordinated 3D one. She has been involved with internal training, mentoring, on the committees for CanBim and aceBIM as well as the chair for the local Revit users group in Edmonton. Iffat Mai is the firmwide Design Application Developer at Perkins+Will. She has more than 20 years of experience working in the field of digital and computational design technology in Architecture. Iffat has managed and trained hundreds of users in some of the most prestigious architectural firms in New York City. Her expertise is in developing custom tools and solutions to automate and streamline design processes and improve project productivity and efficiency. Before rejoining Perkins and Will as their firm wide Design Application Development Manager, Iffat held the position of Senior Research and Development Manager at SOM. Iffat was a speaker on Revit API Customization at Autodesk University for the last three years. Iffat holds a Bachelor of Science degree in Architecture from Massachusetts Institute of Technology. Aaron is currently the BIM Manager at The Beck Group, specializing in Revit Implementation. His current role includes streamlining use of the program, exploiting its efficiencies amongst the Architectural Design, and Construction groups at Beck, as well as Revit Infrastructure Management and Training for all users. His work experience includes Implementing and Support Revit in a variety of offices, and using Revit for all phases of Architecture (from Design to Construction including fabrication), on projects of varying scopes and genres. Passionate about Revit and Architecture, he's an avid contributor on AUGI (twiceroadsfool) RevitForum.org (twiceroadsfool) and is active in the Revit Community. Robert is the current chairman for DTS, his day job is working for Stantec in the Boston office, he has been a key team member on multiple projects, and he now serves as the BIM R&D leader for the firm as well as providing business consulting services for clients implementing BIM. He provides high level support, planning and implementation of new tools and management of custom software development for Revit. He has spoken at: RTC NA, Autodesk University, has been a guest lecturer at the BAC, and has presented at BIM events hosted by the AIA, ACEC, Autodesk and resellers. He has written two articles about Revit for the AUGI AEC Edge magazine, and has written assessment questions for KnowledgeSmart. He can occasionally be found on Twitter (rpiboy) and in his free time he enjoys swimming, skiing and biking with his wife and three year old daughter. Andy Milburn is an Associate at Godwin Austen Johnson, Architects, with a special responsibility for BIM strategy & Revit implementation. He has had a varied career, abandoning architecture in his twenties to become a bricklayer. After spending 8 years as a builder and another 8 as an educator in newly independent Zimbabwe, he returned to architecture in his late thirties. For the past 20 years he has worked as an architect in Africa and the Middle East, taking a keen interest in the impact of computer technology on the profession. His blog "Shades of Grey" is well known in the Revit world. He has 3 adult children, spread around the globe and in his spare time plays blues guitar. Gary Nola obtained his B.S. in Mechanical Engineering from Western Michigan University in 2010. Immediately after, he began pursuing his M.S. in Mechanical Engineering while working as a research assistant at WMU concentrating on green manufacturing research. In late 2011, while still pursuing his masters degree, Gary began working at GMB Architecture and Engineering in Holland, Michigan as a Mechanical Engineer. He was immediately drawn to BIM, through Autodesk Revit, and has become proficient at utilizing the software to perform analyses, keep organized, and produce quality construction documents. Allan Partridge is a principal at Group2 Architecture, leading the Integrated Practice lab using Building Information enabled technologies. The goal is to increase project quality, value over time, adherence to a practical approach to sustainability and a determination to reduce project risk. Based in the Edmonton studio, Allan not only provides leadership & expertise but also works with & within project teams on a variety of projects where Group2 explores the implementation of BIM with the intent to disseminate results of the R&D studio wide. Allan currently serves as the president of Canada BIM Council (CanBIM), a board member (treasurer) of the Alberta Centre of Excellence for Building Information Modelling (aceBIM) and active in the development of NBIMS-US, serving on several committees and board. Allan, as an early adopter, has long been a passionate advocate of BIM and is a frequent speaker at user groups and industry events. President Pinnacle Infotech Inc., Houston TX , has extensively worked with Contractors, Architects, Engineering Companies, Consultants and Government agencies in USA, Europe, India, Australia and Middle East. He has contributed to the innovative use of BIM technology to improve efficiency, provide fast turnaround and reduce costs for the AEC Industry. Bimal has widely traveled and has spoken at various international conferences and technology forums. He has received several awards and recognition for his entrepreneurship and pioneering contribution to the construction industry. Pinnacle strives to ‘Create value for the customers by providing innovative solutions and stretching technology’. Pinnacle has established itself as the Global leader in providing BIM services for more than 4000 projects including Airport, Hospitals, University Research Facilities, Hotels and Convention centre, High rise buildings, Commercial Buildings across more than 18 countries. I have worked professionally in the field of architecture for eight years taking on numerous roles. Additionally, I created The Revit Kid.com over four years ago and continue to publish videos, tips, tutorials, and info on all things Revit and/or BIM related. Although my roles have varied I have always had a particular passion for design. My attraction to Autodesk® Revit® grew strongest when I discovered its ability to present architectural ideas and concepts without too much extra work (or extra software). My latest project, BIM After Dark, represents a culmination of the many techniques I have developed over the years while incorporating building information modeling into every aspect of my workflow. Sean Priddy is focused on customer development at Paracosm, Inc., which is a software development and services company with expertise in image¬based, 3D capture and reconstruction technologies. At Paracosm, he helps customers incorporate these technologies into existing workflows for AEC/MEP, BIM, augmented reality, and forensic applications. In addition to holding degrees in computer engineering from Michigan State and from the University of South Carolina, he has 15+ years experience developing embedded electronics for industrial, aerospace, and consumer electronics markets. Sean is passionate about helping customers adopt new technologies to help solve their business problems. Chris Razzell joined dRofus in May 2014 and brings a wealth of knowledge and experience in BIM, data management and project delivery to the dRofus leadership team. Chris has worked around the world for several leading multi-disciplinary design firms including HASSELL, HOK International and Anshen+Allen (Stantec). He’s passionate about bridging the divide between briefing, design, construction and operations - a philosophy shared by dRofus and demonstrated within our software. Jason Rostar is a BIM Coordinator for the SSOE Group near Portland, Oregon. With a background in Architecture, he has over seven years of experience implementing, training, and standardizing Revit across multiple disciplines. Jason has a wide range of project type experience, including Multi-Family housing, Healthcare, Recreation Facilities, Places of Worship, and most recently, large scale industrial manufacturing. Jason's depth of experience is being leveraged in a continual process of training, implementing and babysitting new BIM users and guiding complex projects through the documentation phase and construction. Leo Salcé, Intl Assoc AIA, LEED AP, is a Senior Consultant with Microdesk. He specializes in Building Information Modeling technology Implementation for Architecture and Engineering firms both nationally and internationally and focuses on Strategic BIM processes planning, Multi-platform integration to better leverage existing and emerging Design and Construction technology. Leo is a designer with over 12 years of experience in Building Design and BIM/CAD Management and has served as a technology consultant to hundreds of AEC firms, providing Planning, training and technical methodology strategies on a wide range of AEC platform solutions. In 2000 Leo founded LSTUDIO, a visualization studio specializing in architectural renderings and animations. He holds degrees in Architecture and Computer Science from Universidad Católica Madre y Maestra in the Dominican Republic, where he is also a Registered Architect. He is an active educator, speaker and published writer on Building information modeling and sustainable design Processes. As president of Collaborative Construction Resources, LLC (Collaborative Construction), James consults regarding the use of integrated project delivery (IPD) and building information modeling (BIM) and the creation of legal frameworks that support and enable the use of BIM and IPD in smart built cultures. James is teaching a masters level BIM Strategy Course at Middlesex University in London and has a Smart Built Culture Series – a web-based global learning event – scheduled for launch in 2015. James offers innovative programs to help owners plan, procure, design, construct and operate BIM enabled facilities and infrastructure in a smart built environment. James serves as an IPD Facilitator, Collaborative Consultant, Project Neutral, and Project Counsel, among other roles. He can be reached by email at JamesLsalmon@gmail.com, by phone at 513-721-5672 or by cell at 512-630-4446. If your company is interested thriving and competing effectively in the emerging knowledge economy, call James today. Greg is a licensed Architect living and working in New York. He has a Bachelor’s of Architecture from Iowa State University. Greg has worked at both large and small firms before coming to HOK. At HOK he has moved from being part of the firm wide Revit support team to his current role as the Director of Innovation for buildingSMART. In this role he is responsible for the research, development and initial implementation of solutions to meet HOK’s project delivery needs. This can include anything from developing new solutions for project management to the implementation of new design or analysis software for Architecture and Engineering teams. Greg prides himself on being knowledgeable on a vast variety of software tools and approaches. Greg has been responsible for bring dRofus into HOK and will continue to work with them in the future. 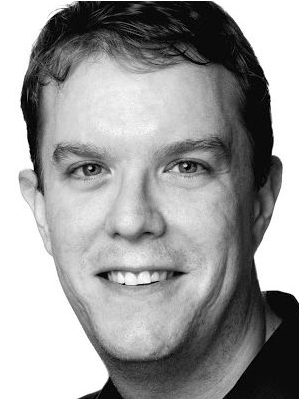 Mark works in Chicago as a licensed architect/designer and consultant in digital design. He received his B. Arch degree from the University of Kansas, along with years studying and working in Germany, Switzerland and Spain. Over the last several years, Mark’s design work has ranged from high-end residential and retail interiors to large-scale commercial towers. In addition to leading interior, architecture and planning design teams with an emphasis on an integrated BIM process, he has provided training, implementation, and hands-on project assistance for many small, medium and large-sized firms. Mark’s diverse experience within architectural firms, as well as his longtime history with BIM from the original Revit Technology Corporation, is a true testament to his mastery of digital design. Mark is currently Director of BIM Applications at Goettsch Partners, an innovative architecture firm with a global perspective, emphasizing a singular design approach across offices in Chicago, Shanghai and Abu Dhabi. Marcello is the BIM Director at John A. Martin & Associates Structural Engineers in Los Angeles, CA. He has been using Autodesk products for over 15 years including AutoCAD, 3ds Max, and Revit. He is a member of the ASCE-SEI BIM committee and continually speaks at structural professional conferences across the country. Marcello is one of the top rated speakers at both Autodesk University and the Revit Technology Conference. He teaches classes that focus on complex modeling in Revit. He also beta tests the yearly releases of Revit. He has worked on many projects that have incorporated complex geometry including the Walt Disney Concert Hall in Los Angeles, CA, the Stata Center at MIT, and the Tom Bradley International Terminal Expansion at LAX. Marcello received B.S. and M.S. degrees in Civil Engineering. He is a licensed Civil and Structural Engineer. Adam Sheather is the BIM Manager for YTL Corporation, providing roadmaps, ICT rollout and project management, support and development across the Company’s subsidiary business Groups. Groups include Property Development, Turnkey Design, Construction & Operator, Cement Manufacturing, Facility Management and O&M Activities. Current role is split between leadership, project design & pre-construction collaboration, and onsite construction delivery developing lean and agile, workflows and cultural changes to allow business groups mobile access to transparent, adaptable information focusing on people, interactions and working systems to naturalise continuous change management and innovation, whilst automating our process, standards and systems for the benefit of our partners and our built assets. Michael Smith is the President of Blink Forward LLC, the company that takes PDF documents to the next level of hyperlinking with indexing. Michael is also a guest author/technical editor of Mastering Navisworks as well as the instructor for CAD Learning’s Navisworks courses. He has spoken at CSI, AU, ASHE, ASHRAE, and other BIM conferences about BIM workflow and facilities management. Michael has been involved in numerous construction projects from Design Build to CM at risk. Clay serves as the Design Technology Leader for RTKL and is responsible for managing the training, implementation, and support for all aspects of RTKL's use of design technology; whether BIM, Parametric Design, Integrated Delivery, Energy Analysis, or Collaboration. He has contributed to more than 150 BIM projects of all sizes & types and trained over 600 employees globally. Carl Storms is a Senior Applications Expert with IMAGINiT Technologies. He has over 15 years of experience in the AEC industry with time spent on both the architectural and construction sides. Drawing on a background that includes sales, marketing and instruction – as well as practical use of BIM technology, Carl helps clients make the most of their design processes and tools. Through whitepapers, instruction, seminar presentations, mentoring and more, Carl assists with the adoption of design technology and BIM processes. With a passion in BIM, Kelvin Tam, AIA, American registered architect, LEED AP has been thinking out of the Revit package box for challenges that the program could hardly do and trying to push Revit Architecture to the very limit to satisfy architects' specific needs for design, documentation and management. He has been working as both a designer and BIM lead on a variety of building types in the United States’ leading design firms as RTKL, Rossetti Architects and NBBJ. Recently, Kelvin moved back to Hong Kong and joined Ronald Lu & Partners. Kelvin is the BIM Manager at RLP taking charge of the standards and protocols for the firm's BIM implementation. Kelvin has been a speaker at international BIM conferences like Autodesk University, Revit Technology Conference North America and Revit Technology Conference Australasia. Stephen is currently employed by Woods Bagot as an Associate and has worked from the Sydney and Melbourne studios. He has over 25 years of international design experience having worked on projects in Australasia, Europe and the USA. He is considered an expert in Revit Architecture and is renowned for pushing the boundaries of the modelling capabilities of the platform. Recognised for his innovative design skills, Stephen’s experience spans over various sectors including education, industrial, specialised facilities, workplace and lifestyle. Stephen is widely published and has been a regular speaker at the Revit Technology Conference since its introduction in 2005. J. Adam Thomas is a young, up and coming developer of architectural and design technologies with a passion for educating students and professionals. His focus is creating and understanding more interactive and practical forms of AEC design technologies. Adam has worked in Residential Construction for 10+ years and has 8 years experience in Revit, BIM, and PIM implementation. He is currently the co-owner of Read|Thomas LLC, a startup dedicated to serving "Small Teams in Small Towns, with Big Projects" with BIM Implementation, AEC software training, and Web Development needs. Adam has been featured in Mastering Revit Architecture 2011, and served as technical editor for Revit Essentials since its induction in 2010. I work on the RAND/IMAGINiT team that creates software and technology for multiple platforms, some of these include: Utilities for Revit, Utilities for Civil 3D, Utilities for Vault, Scan To BIM, Clarity and Clarity Connect. Mobile apps are high on my interest list as well as web development, besides software I also like to design and make things from prototypes to products using tools like: 3D Printers, Laser Cutters, CNC’s and more in my spare time. Interested in how these intersect, let’s talk. Håvard Vasshaug is a structural engineer, Revit power user and Digital Design Manager at Dark, one of Norway's largest planning, architecture and interior design practices. He has vast experience providing Revit training, solutions and seminars for architects and engineers the past 8 years, and now uses this background to share knowledge of Revit solutions at Dark and to whoever else that enjoys it. Håvard is a regular presenter at Autodesk University and Revit Technology Conferences around the world. He is an enthusiastic blogger and national Revit forum administrator. Collaborating with Autodesk, he is a part of the Autodesk BIM Open Source Project Steering Committee, a dedicated Revit development contributor and a very proud Revit Gunslinger. Aaron is a Registered Architect, Civil Engineer-in-Training, LEED® Accredited Professional, Autodesk® Certification Evaluator, and an AEC industry technology evangelist. He holds graduate degrees in architecture and engineering (M.Arch, MSCE, BSCE), and he has acquired widespread industry experience in architecture, engineering, and construction over the past 20 years. Aaron initiated Revit® transition efforts in two design firms prior to joining an Autodesk partner, where he spent five years offering consulting, training, and support to AEC customers. Aaron has earned repeated recognition for instructional quality and Autodesk software expertise, and he has served as lecturer, panelist, and author on BIM-related topics. He currently serves as a pre-sales technical specialist on Autodesk’s AEC Frontline team, informing and influencing customer BIM workflow adoption and strategy. Tim Waldock has been using Revit since 2005, and has been Technology Integration Manger at PTW Architects since 2006. He has worked with numerous other BIM and 3D CAD programs over the past 30 years in the UK, Singapore and Australia, often working closely with the software developers. He has attended all but one RTC, and has presented at RTCs: 2007, 2008, 2010, 2011 Aus & NA, 2012 Aus & NA, 2013 Aus, NA & Europe. He attended two separate Revit Gunslinger events in January and October 2011 at the Revit headquarters in Boston and Manchester in the USA. He is treasurer of the Revit User Group Sydney (RUGSyd). In the past 20 years, Tom Whitehead has worked with rocket scientists, commercial art directors, network engineers, web developers, architects, and structural engineers. He started with Revit in 2008 and has been been a BIM evangelist ever since. In his role as the BIM Coordinator for DCI Engineers, Tom helps shape his firm’s corporate BIM strategies, template and family development, and training programs. In 2013, he was selected to participate in one of Autodesk’s Revit Gunslinger events and is active on RevitForum.org. Tom is an avid camper, loves live music, and lives with his wife and two young children in Portland, Oregon. Mark is an architect and is the BIM Manager for the Dutch architecture firm cepezed. He has always been busy with the use of computers in the architectural design process. After graduating from the High Technical School of Amsterdam he worked as a Building Engineer hacking AutoCAD systems to be more efficient and productive. During his studies for an architect at the Technical University Delft he was a student assistant for the department of Technical Design and Information. At the department of Technical Design and Information Mark was working on computational- and blob design and is co-author of a paper on the 3D generation of Ice-rays on a double curved surface. He also modelled in Pro-Engineer the first production twist facade of Karel Vollers for alcoa. Mark also developed a course for teaching master degree students building technology how to make a parametric blob design using Maya and making parametric facade designs using Pro-Engineer. In 2004 he came in contact with Revit, testing it for use in the University curriculum. Mark has been teaching building technology as a guest tutor at the Technical University of Delft and is currently work for the architecture firm cepezed where he focusses on company training, customisations, plug-inn development, and devising effective workflows and practices. He is currently a board member of the Dutch Revit Usergroup (RevitGG) setting the Dutch standards for Revit use. Mark also gives lectures on the use of Revit and how it works in a BIM environment. Mike Whaley has over thirty years of experience in the Architectural and Construction industry. Today he is President of TURIS Systems, LLC a technology consulting company for contractors, design professionals and owners. His background in every aspect of the A/E/C industry gives him a uniquely qualified perspective on the future of our industry(s). Over the last eight years, his visionary guidance and direction has empowered his team to the forefront of technology for the construction industry. Now his focus is on the implementation of facility management and BIM and as always, what is next? Doug is a Regional Digital Practice Manager for Perkins+Will where his primary focus is in the South Central region of North America. Doug regularly engages practice leaders and design teams to advise and provide guidance on how to execute best practices and lessons learned on Revit/BIM projects. Doug has 20+ years of Architecture, Interior Design and Engineering experience where the past +17 years he has been focused on BIM and Project Information Management. Doug received his Bachelor’s in Architecture in 1993. He has LEED AP® BD+C certification from the GBCI, is a CSI - Construction Document Technologist (CDT) and a member of the National BIM Standards Committee (US). Doug is also a Revit Architecture Certified Professional. Doug has been a past presenter at RTC North America in 2011 & 2012, RTC Europe 2013, Autodesk University 2009 & 2010. At HP, Sean is responsible for global AEC and Manufacturing segment marketing. He also manages strategic alliances with Autodesk and other CAD software vendors. Previously Sean was at Autodesk, where he led product management for Showcase and 3ds Max, and managed marketing for the AutoCAD Design Suite. Sean holds an MBA from Queen’s University in Ontario, Canada. Shawn Zirbes is the Chief Technical Officer for CAD Technology Center, Inc., in Minnesota. With thirteen years experience using all Autodesk® AEC software, he is an expert in planning and executing software implementations for the AEC industry. He has worked with a wide variety of clients ranging from commercial, residential, health care, and industrial design firms, their consultants, and the building product manufacturers supplying the building materials for these projects. Shawn's wide range of Building Information Modeling experience is being leveraged by Autodesk as a special Revit® consultant for Autodesk Seek. Over the past 19 years Tomislav Zigo has been an advocate of digital technology implementation as a researcher, designer and for past five years as a designer - builder. His experience includes work in the vanguard of BIM implementation on large healthcare projects; research work in the field of Virtual Reality and Building Performance Analysis; and mentorship positions in a number of local and national architectural firms while transitioning toward BIM adoption. As the director of Virtual Design and Construction for Clayco Inc. of St. Louis, he leads a multidisciplinary team of talented individuals tirelessly conducting in house R&D, training, professional services, marketing, sales assistance, partner and client management. Tomislav holds a Master of Science degree in Mechanical Engineering from the University of Rijeka in Croatia and a Master of Architecture degree from Washington University in St. Louis.